Stein Reheating PF is a conventional solution for heating products that works by pushing products through the combustion chamber. The simple mechanical system and near-total lack of cooled elements inside the heating chamber ensure the pusher furnace offers high efficiency and very low operating costs. Fuels including natural gas, fuel oil, COG, BFG, mixed gas, etc. can all be utilized thanks to the state-of-the-art AdvanTek® burners. The charging and discharging machines can be customized according to the application and layout. All installations can be prefabricated if desired. 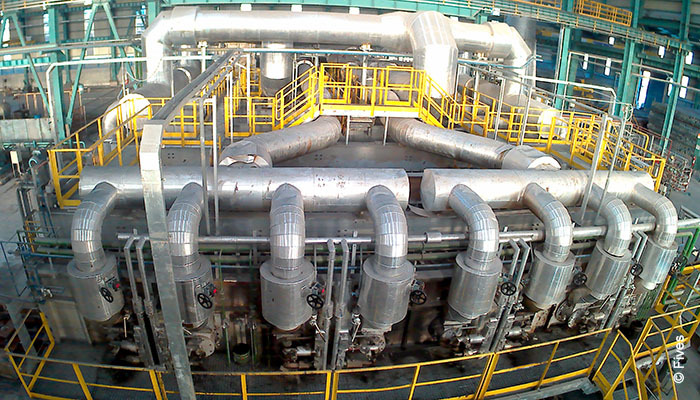 Megasider Zaragoza Rico & Echeverria (now ArcelorMittal Zaragoza) entrusted Fives with the construction of a top-fired pusher furnace of 70 t/h capacity, equipped with lateral discharging by means of kick-off machine and rollers. Much of the technology was pre-assembled in Fives’ workshop, reducing construction time and resulting in an improvement in quality. It also features the Virtuo® Level 2 thermal solution. SteelAsia Manufacturing Corp. (SteelAsia), one the world’s largest rebar manufacturing companies, entrusted Fives with a contract for a new pusher furnace at its Meycauayan Works in the Philippines. The new pusher furnace replaced an old furnace at Meycauayan Works. 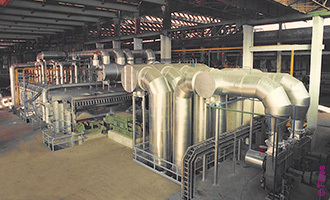 Fives was entrusted with the contract to convert the existing pusher furnace from front discharging by ramp to side discharging by peel bar, enabling an increase in capacity from 60 t/h to 80 t/h thanks to the extended furnace length and the addition of one new control zone with flat flame roof burners. In addition to the capacity increase, the modifications also enabled energy savings by reducing the furnace’s openings and limiting air inlets.